There are many different approaches to world history, however, and which one you want to look for depends on what you need. Here’s a brief spotter’s guide to some of the main varieties of world history you’ll find in the scholarship, how to recognize them, and what you might want to go to them for as a writer. These are not the only varieties of world history out there, but knowing these types will help you sort through the sources you will come across in your research. Historical events don’t happen in a vacuum. Cultures communicate and trade with each other. People travel, taking goods and ideas with them. Interconnected History is about tracing these lines of communication and commerce and discovering how events in one part of the world affected other parts. Histories written in this mode tend to focus on the areas that separate major cultural centers, like oceans, deserts, mountains, and steppes, and give attention to individuals and groups traveling far from their places of origin or on artifacts and cultural practices far from their cultural sources, things like how the Mongol empire’s management of the Silk Road facilitated the spread of plague from China to Europe, how the export of gold from the Malian empire supported medieval Eurasian trade, or how elements of Mesoamerican ritual culture were adapted to support the ruling elite of Cahokia. What it’s good for: Building large and connected worlds held together by trade routes, travel, and the exchange of ideas. Writing a world in which events over here are shaped by what’s going on over there. The Western Triumphalist approach to world history celebrates the rise of the west as the triumph of (in older histories) superior white, Christian men or (in more recent versions) superior democratic and capitalist values over the rest of humanity. This version of world history was once commonplace but has largely fallen out of favor since the middle of the twentieth century, although some culturally and politically conservative scholars still like to work in this mode. Expect histories of this type to praise western achievements like Greek philosophy, Roman administration, Renaissance art, Enlightenment science, the American and French Revolutions, the Industrial Revolution, and modern liberal democracy. Some are content to build up the west, while others choose to disparage or dismiss similar achievements in other parts of the world. An objective alien visitor considering the earth around 1400 CE would have had plenty of choices for which society would come to dominate the world militarily, economically, and culturally in the next half-millennium. The Ming Dynasty in China was starting to exert its power in the western Pacific and Indian Ocean. The Ottoman empire was enjoying expansive conquests in Asia and Europe. The Mali empire in Africa possessed massive wealth and a substantial military power. The Timurid Empire was reviving the glory of Persia and Central Asia. 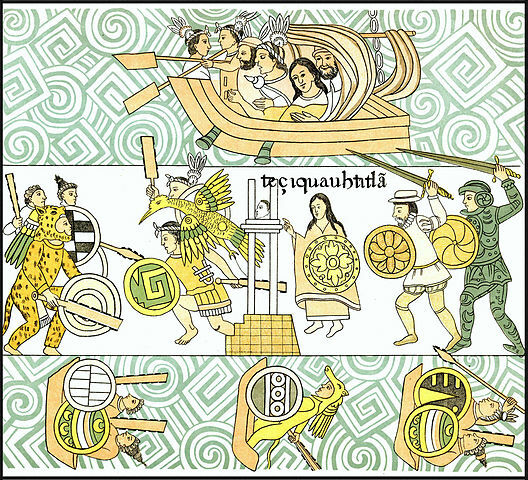 The Incan Empire in South America was reaching its peak, as was the Aztec Empire of Mesoamerica. Any one of these and more could have been reasonable candidates. Oh, and there were a few poor, fractious, proto-states clinging the rocky western fringe of Eurasia trying to recover from decades of plague while embroiled in a century-long stalemate of a war. Questioning the West history tries to answer the question of how it was those guys who ended up ruling the world. Questioning the West argues that western peoples and cultures aren’t inherently any better than others but that certain conditions favored the rise of western powers at a particular moment in history. Different authors look at different kinds of conditions, ranging from geography to business practices. What it’s good for: Understanding how larger contexts and conditions can influence the rise and fall of political regimes and cultural forces. Setting the stage for a story which will see major shifts in the global balance of power. Europeans aren’t the only people whose history is important and they’re certainly not the only people to have created sophisticated empires, developed important technologies, or created influential works of art and culture. The Non-Western History approach leaves aside the question of how Europeans ended up ruling the world and brings to our attention the lives and cultures of everybody else. Some of these histories still work within European frameworks of history, examining non-western cultures before European imperialism or in reaction to it; others discard the European point of view entirely and reorder world history from a non-western perspective. What it’s good for: Worldbuilding that doesn’t depend on European models and values. Telling stories about worlds that don’t follow the conventional western narrative. The History of Things model approaches world history from the perspective of individual objects, commodities, or concepts. Whether something as abstract as democracy or as tangible as codfish, these histories trace the ways in which different cultures have developed and used things, reacted to them, and employed them in their interactions with others. These histories can range from the rather frivolous, little more than collections of anecdotes, to the serious and profound, tracing how objects and ideas transformed and were transformed by the civilizations they existed in. What it’s good for: When your story revolves around a particular thing or idea, this kind of history can help fill out the background. For instance, if your main characters are, say, pepper farmers, or librarians, or bankers, a world history of pepper, books, or money can help provide detail and depth. Understanding your sources is essential to good research. Knowing not only what kind of sources you should be looking for but how to judge the sources you find makes the difference between successful research and the accumulation of random trivia. (Not that there’s anything wrong with random trivia, mind you, but it’s not always what you’re looking for.) Hopefully this guide helps you find the right sources for your research projects. 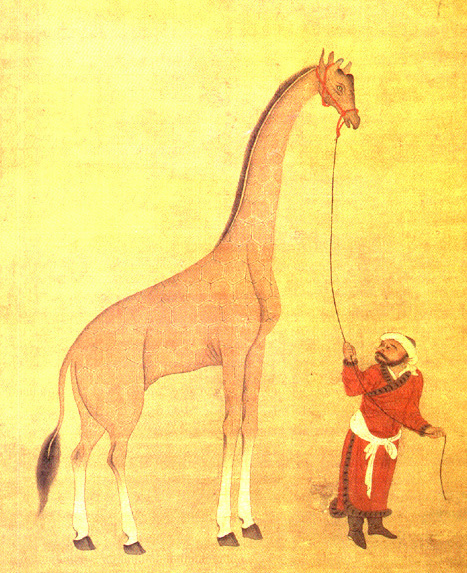 Images: Giraffe from Zheng He’s expedition via Wikimedia (National Palace Museum, Beijing; Ming Dynasty; paint on silk). 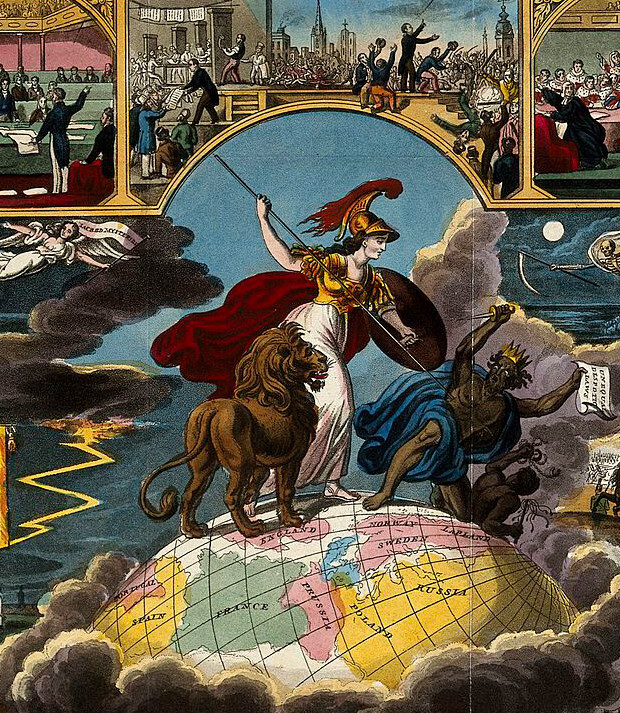 Britannia astride the world, from Wellcome Images via Wikimedia (1836? ; colored lithograph). Attack by Spanish-Tlaxcalan forces via Wikimedia (1773 copy of 1584 original; ink on paper). 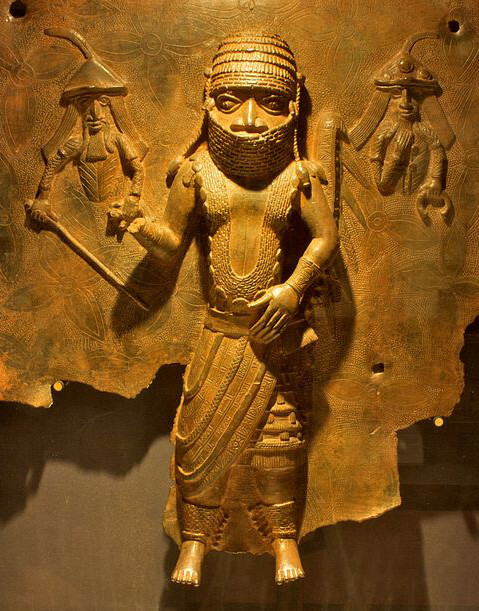 Benin bronze, detail of photograph by Mike Peel via Wikimedia (Mornimam Museum; 13th c.; bronze relief). 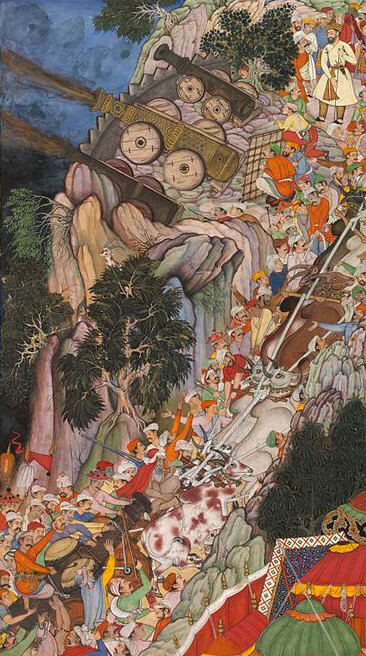 Bullocks dragging siege guns, from the Akbarnama via Wikimedia (c. 1590). Next Article Why Wouldn’t Playing Games Get You a Job?